The State Water Board’s recent decision to outlaw some water-wasting activities under penalty of $500 fines helps alert urban residents and businesses to the seriousness of the drought. These water conservation actions, though, are fairly mild compared with the water rationing and other mandatory restrictions that Santa Cruz and a few other California communities have imposed this year. Local water utilities have more leeway than the state in the severity of measures they can take to reduce consumption. But, so far, few of them have gone beyond voluntary calls for water conservation, and only in the face of serious and imminent water shortages. Voluntary measures generally reduce urban water use by 5 percent to 15 percent. Economic conditions and other factors also can affect how much water people voluntarily save. Mandatory measures, however, can cut water use by 50 percent or more under dire conditions, as Bay Area cities learned in the severe 1976-77 drought. If the current drought is so bad, why wouldn’t all water utilities mandate additional water conservation? Lost water sales revenue. Less water used is less water sold, is less revenue to the agency and, potentially, less funding available for a contingency reserve should the drought worsen. Desire to reserve tougher conservation actions for more severe drought conditions. Imposing draconian restrictions early in a drought leaves a utility with little means to signal greater urgency if conditions worsen. Risks of “crying wolf.” A utility can lose face with the public if it imposes mandatory water conservation actions and severe drought conditions do not materialize locally. Lost credibility promotes opposition to new water rates and other utility actions and poses political risks to elected or appointed utility leaders. Avoiding the expense of additional water conservation. Adding or strengthening water conservation actions often disrupts normal utility operations and adds expense. Enforcing mandatory becomes increasingly expensive. Fear of losing long-term options. 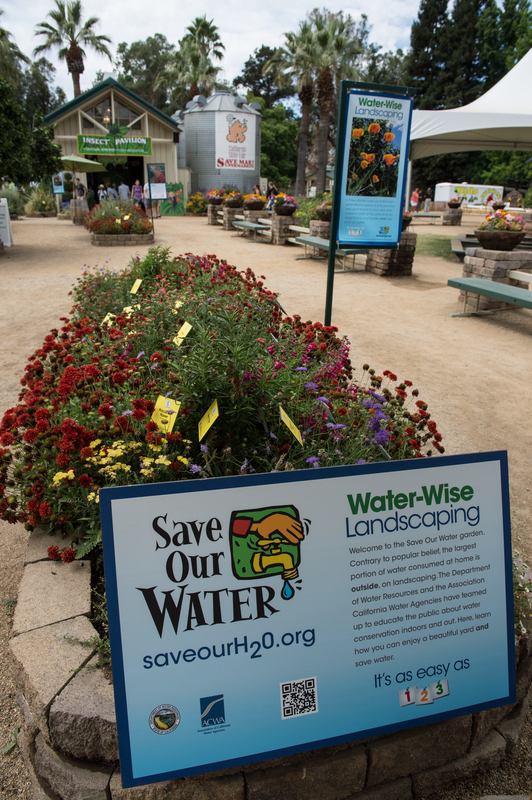 Continuing higher water use preserves options for water conservation in the future. Water for landscape irrigation, which accounts for half of urban water use, can be seen as a strategic reserve that can be tapped later for growth or used to offset supplies lost from water rights conflicts, climate change or stricter environmental rules. Water utilities are often conservative institutions, in part because they have little control over their long-term supplies and demands. Taking advantage of good management (or good luck). The state has an interest in not punishing utilities that have managed their systems to reduce risks in a drought. Most large urban water utilities have detailed plans for stepping up conservation activities with worsening drought conditions. They begin with public education and voluntary conservation then gradually impose increasingly severe mandatory restrictions. While many agricultural areas and a few communities face severe water shortages this year, many of California’s largest urban areas are in pretty good shape, thanks to smart water management and good luck. In a water system as large and diverse as California’s, we should expect wide variability in utilities’ experiences and operations during a drought. 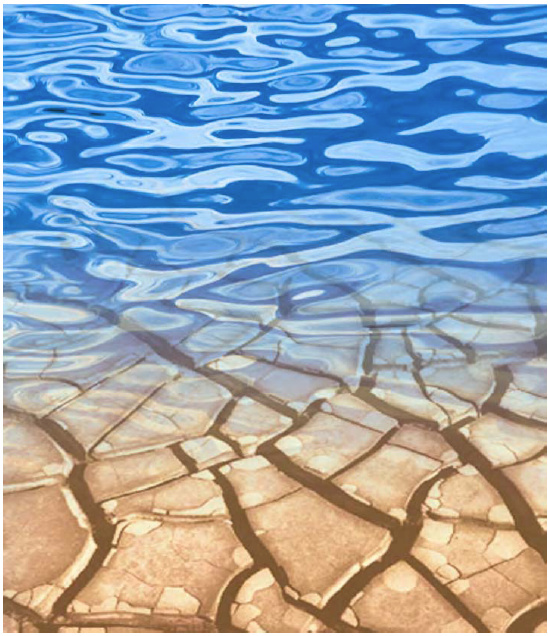 However, mandatory restrictions for urban water users will become more widespread as the drought persists. We often look for easy answers and villains in droughts and see water use by others as water wasted. Things are often more complicated. This entry was posted in Uncategorized and tagged drought, Jay Lund, water conservation. Bookmark the permalink. Lots of good reasons, Professor Lund. But no manager ever got a raise by having a smaller operation — e.g., cutting staff and expenses — , and when have bankers and bond-holders ever willingly permitted a utility to fail to make payments because it had not sold enough of its designated product and its income was insufficient? A more effective system is for utilities commission to allow water surcharge to lower demand and retain previous revenue stream for water districts. Another method employed in 1977 was higher rates for higher usage. Good points by Rich and Tom. Jay is also correct in his assessment things are much more complex than most will consider. For instance, those responsible communities where wastewater is treated to advanced tertiary levels and recycled for irrigation, the imposition of progressively higher water rates reduces the recycled water available for irrigation. That in turn reduces the volume of recycled water used and sold thereby providing another hit on someone’s economic status. For areas like Sacramento where wastewater is only marginally treated before it is discharged into the River, the treatment has been kept minimal by engaging and paying for lobbyists instead of doing the right thing. SacRegional should be forced to produce high quality, advanced tertiary wastewater that can be used for irrigation in the state’s capitol. If the governor was serious about the issue he could at least make sure that recycled wastewater was used for the irrigation of the state grounds around the capitol and on other state properties. The water supply issue is extremely complex but reasonable improvements can still be made. Jay – another reason to avoid meaningful reductions in water use during a water shortage is development. When a community is asked/required to reduce water use it becomes more difficult for the supplier to continue to provide water for new development. Some agencies are even required by law to stop all new connections when supplies are reduced (Goleta Water District). Thus suppliers will do all in their power to avoid taking meaningful water-use reduction actions. We hear constant comments about how Prop. 218 is keeping water suppliers from using rates to encourage efficiency or to replace revenues lost to declining sales. Please address this issue. Another solid discussion of why things do not get done in California’s water world. I would argue that you might want to add one additional factor: the reluctance (near-biological aversion) of federal, state and local elected elected and non-elected officials to doing much of anything that gets voters/ratepayers mad at them. All the reasons you cite, and this last professional decision-making hazard, help show why we are not further advanced on water conservation, recycling and the like. Keep up the geat work. Given that we are now deep into the drought, storage levels are dropping precipitously, and traditional drought responses are not working in all areas of the state the next blog might be what is it going to take? The excuses are interesting but it is going to take leadership, as Phil says, and new levels of demand reduction, pricing incentives, with groundwater monitoring to withstand what is becoming the new normal. Great, thoughtful comments! However, IMHO it seems probable that opposed agendas, bureaucracies, stakeholders, and constituencies — plus not having the good old days’ rain & snow — will prevent any coherent improvement in CA’s water supply. The questions then become, what responses will landowners, farm workers, cattle operations, food processors, and consumers make to a sharply reduced water supply? We’re all in this together. To throw away perfectly usable food should not be an option. One way to produce food more efficiently with less water is more permissive grading standards, both wholesale and retail. Lettuce is mostly cut up for salads, so what difference does the size of the head make? And farmer friends tell me that a major strawberry packer still finds it possible to reject a whole load of berries if more than one PER FLAT is bruised!!! If groceries went back to their practice of bagging worn produce at a reduced price, that would help lots of fixed income consumers. Every local water agency should adopt the following mission: “It is our mission to help our customers use water in the most efficient manner possible”. Then they should develop incentives for their employees and customers to live up to that mission. What California lacks is a state agency with the authority to set rates for local water agencies. What that means is that if a local agency gets serious about conservation and efficiency, its water sales revenues will go down and it will be tougher for it to pay off billions in infrastructure bonds it has floated over the years. 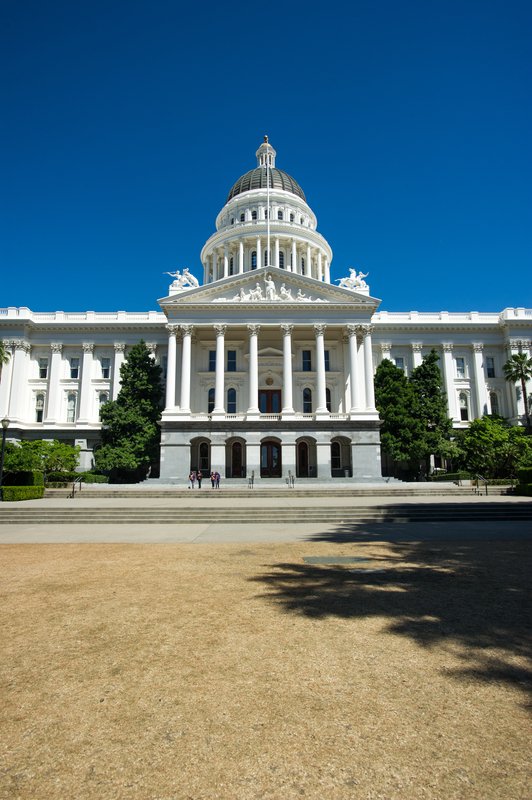 The California Public Utilities Commission adopted a decision in 1981 that “decoupled” electricity and gas sales from energy utilities revenues. Every few years, the utilities and the Commission conduct general rate cases, and the Commission authorizes the utilities to increase or decrease rates to pay their bills and make a reasonable rate of return on their investments. Perhaps it is time for the state to something similar with water.